Yes, they are more prone to hospital admissions due to their higher risk of falls, infections and general deterioration in medical conditions. But no elderly person wants to be in hospital in a strange environment. They often can’t hear, see or understand the staff. All they want is to get better and go home! 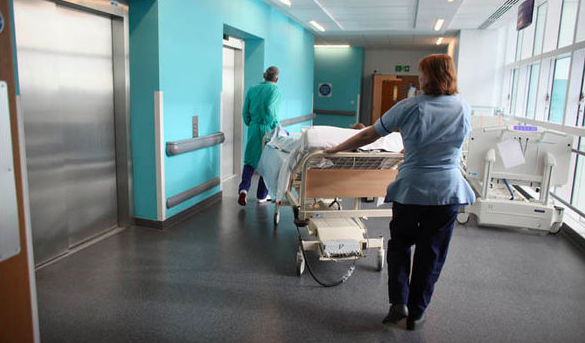 Department of Health statistics show more than 680,000 elderly people are admitted to acute hospitals each year. They regularly languish on wards even though they are well enough to be looked after in a care home or at home with support. The Government have promised a £300 million ‘rescue’ package to allow Social Services to buy care, but this is only a drop in the ocean. 50,000 care home beds have been lost over the last 5 years and care homes are closing at the rate of 4 per week. This is mainly because they are unable to meet the standards of care required by the CQC. Neither the NHS or Social Services pay care homes enough to be able to provide the high standards of care that the elderly deserve or CQC requries. More intermediate care beds would help the situation but this comes at a time when community hospitals like Bakewell and Bolsover are due to close. These hospitals provide care whilst the elderly wait for either a care home bed or for a care package at home. It costs £400 per day for a hospital bed. Is it just me or is the answer to bed blocking to use this money and save our community hospitals and pay more money towards care home beds and care at home? NHS, I think you have the answer to the bed blocking crisis.